Good abrasion resistance and corrosion resistant. Anti-skid surface and cool shape. 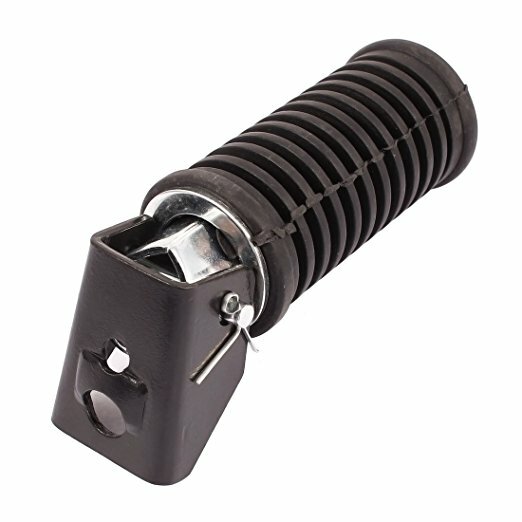 • -- Direct install on original foot peg' position with the small hole, easy to operate. • -- Made of high quality aluminum alloy and rubber, no rust, good abrasion resistance and corrosion resistant. • -- Professional Aftermarket for Honda. • -- Anti-skid surface, strong grasps, safe for driving and reduce foot fatigue.